A single steel ring, five metres in diameter, appears to hover at a slight angle above the floor. Upon closer inspection, it becomes clear that this illusion has been created by mounting a semicircular tube to a mirror. 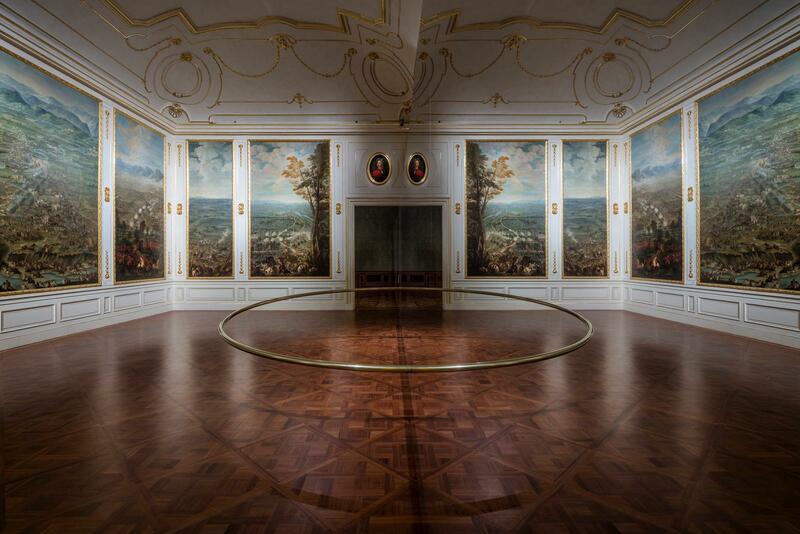 The reflection visually completes the circular form, producing a virtual ring that appears to pass from the actual space into the reflected space. 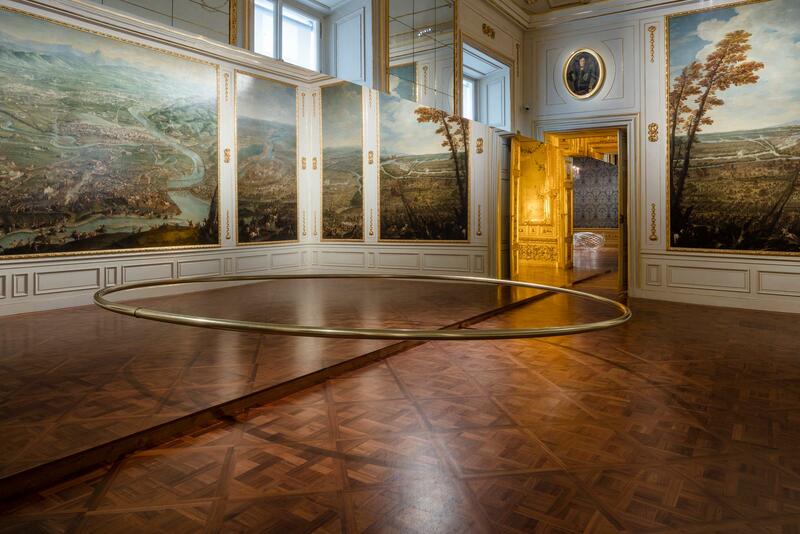 Both the viewer and her surroundings are subsumed into the artwork by the mirror, and this doubled world, in combination with the slight tilt of the ring, generates a subtly destabilising and uncanny effect.